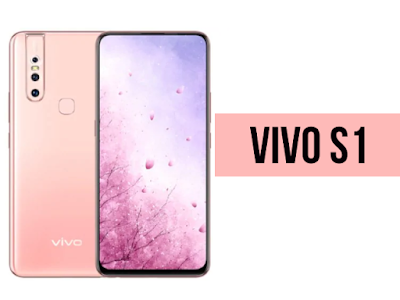 In March 2019, the smartphone Vivo S1 was launched. The phone is equipped with a 6.53-inch touchscreen display with 1080x2340 pixel resolution and 19.5:9 aspect ratio. Vivo S1 is powered by a MediaTek P70 processor with an octa-core. It comes with RAM 6 GB. The Vivo S1 is powered by a 3,940mAh battery running Android Pie. The Vivo S1 on the back packs a 12-megapixel primary camera with a f/1.78 aperture as far as the cameras are concerned; a second8-megapixel camera with a f/2.2 aperture and a third5-megapixel camera with a f/2.4 aperture. It sports a selfies front 24.8-megapixel camera with a f/2.0 aperture. The Vivo S1 runs Android Pie-based FunTouch OS 9 and built-in storage packs of 128 GB that can be expanded via microSD card (up to 256 GB). The Vivo S1 is a smartphone with dual-SIM. Connectivity options on the Vivo S1 include Wi-Fi, GPS and USB OTG. Accelerometer, ambient light sensor, compass / magnetometer, gyroscope, proximity sensor and fingerprint sensor are included on the phone. The Vivo S1 measures 161.97x 75.93x 8.54 mm and weighs 189.50 grams. It was launched in the colors Blue and Peach Pink.